Here is a continually updated sampling of the reviews that your fellow readers have posted after returning from trips that were arranged by Wendy’s Trusted Travel Experts and monitored by Wendy. These reviews illustrate how the right fixer transforms a trip from average to extraordinary. Read more reviews of Mei. Or request your own trip. One more time you hit a bases loaded home run! Joe Yudin and Jonathan Rose did a great job. Jonathan carefully listened to our trip goals and then created an exceptional itinerary that combined our goals with many fun/exciting suggestions. Many elements came together to create a wonderful visit. Bena, our guide, was exceptional. His English is totally fluent. He is close to receiving his doctorate in archeology so visiting sites throughout the country was very special. He was totally conversant with the Christian and Jewish religions and knew the country like the back of his hand. He listened and observed well. He was very flexible and had an excellent sense of humor. In addition to normal touristy events, we were offered a number of totally different activities. To name a few, one day we went power para gliding in the the Sea of Galilee area. Very Exciting! On another we spent the morning at a counter terrorist training facility learning how to counter an attack with machine guns and some basic hand to hand combat exercises. On the Israeli Presidential Election Day we had breakfast with an internationally known Arab Israeli journalist to get a better understanding of Arab life in Israel and his views on the election. One afternoon we participated in digging for objects at an active archeological exploration site. While visiting the Golan Heights we were briefed by a retired Israeli Defense Force (IDF) officer on the border situation. Our WOW moment with Ian Stern, head archeologist at the Herodium site was exceptional. He really made his work come alive. The combination of a well thought out itinerary, an exceptional guide, wonderful spring weather, excellent hotels and great restaurants combined to create one of our best ever trips. Read more reviews of Joe and Jonathan. Or request your own trip. We have recently returned from an outstanding two week holiday in Northern India. Our custom itinerary was crafted by Victoria Dyer and included Delhi, Agra, Ranthambore, Jaipur and Udaipur. Victoria was invaluable in planning our trip sharing her first hand personal knowledge of properties and logistics. It was the ultimate in customization and she was always available and responsive to changes, ideas, suggestions even when we requested a last minute change to our planned itinerary. Communication was precise and prompt. We had a guide and driver who travelled with us the entire journey which further allowed us to make changes to our daily plans depending on the day. Vikram, our guide, eagerly shared his extensive knowledge of Indian history and was an invaluable and enjoyable travel companion. Vikram made every transition and every day seamless and effortless. We look forward to welcoming him at our home when he visits the US. At the end of our trip, my partner was sick requiring us to return home before our scheduled departure. Victoria’s team on the ground in India (thank you Diggi!) was indispensable and facilitated the necessary changes to our travel plans. In addition they continued to follow up with us every step of our journey home. When and if we return to India, Victoria will be my first call. Read more reviews of Bertie and Victoria. Or request your own trip. We recently returned from a trip to Berlin and Vienna planned by Gwen Kozlowski and Silvia Baigorri and are extremely happy with our experiences in both cities and the itineraries that were put together for us. Our guides were excellent, our tours perfect for us. Since it was our first visit to these cities we decided to do walking tours. We find that this type of tour gives us a great overview and sense of the layout of a city. Also, it’s a great way for us to decide if this is a city we would want to visit again. If so, then we book a much more in-depth tour on our return visit. These are two cities that we will definitely visit again! We did 4-hour tours in each city and I must say that our time was well planned and yet jammed packed with one great experience after the next. Our only regret was in not planning 6-hour tours so as to be able to spend 2 more hours with our terrific guides…Olaf and Peter! Our guide Olaf Kolbatz in Berlin was excellent. His knowledge and the historical perspective he provided us with was special. You can read all of the information that’s been printed about the Berlin Wall but to speak with someone who actually lived through those times, as Olaf had, was quite special. His insights and perspective enriched our experience not only as it related to the Berlin Wall but to Berlin and its rich history. Our guide in Vienna, Peter Heuritsch, was not only knowledgeable but so enjoyable to be with. He provided us with a great first impression of this beautiful city greatly enhancing our experience. We had a fantastic day with him. He shared wonderful stories with us about Austria and its history and in particular Vienna. His knowledge was and is vast. Gwen was fabulous to work with. Prior to our trip she provided us with our itinerary as well as an incredible wealth of information as it related to each city. There was a very comprehensive list of restaurant suggestions and the offer to help in securing reservations. Of course, we chose only those restaurants that Gwen gave her “star” rating to and we were not disappointed. While we were in Berlin I sent her a note asking about Jazz venues. She immediately sent me an in-depth list of suggested jazz venues and a description of each club and the type of music that was being performed. Great info! She also arranged for us, with very little lead time, to go to the Musikverein on two occasions. One evening the Vienna Symphony was performing and on the other the National Symphony Orchestra of Katowice (Poland) was performing. Both evenings were most enjoyable and our seats were excellent! Gwen and her team put together a terrific itinerary together for us. Communicating with her was easy and her response to any request or question that I had was always answered quickly. I will look forward to collaborating with her again….. hopefully, in the not too distant future! Thank you, Wendy for another great recommendation! Read more reviews of Gwen. Or request your own trip. Philip and his staff planned a terrific trip for me, my husband, and our seventeen year old son. They spent time talking to us to make sure the trip was tailored to our needs. They were extremely accommodating. Kristina made a change for us mid-trip with no complaint. We had tremendous guides, particularly Simon who was one of the best guides we have ever had – and we have traveled the world! We loved meeting a real knight at Windsor Castle, seeing castles with Simon who knew EVERYTHING, visiting the Harry Potter studios, touring The National Theater and an amazing costume shop and talking with a working actress in London. The dinner and pub recommendations were spot on as was our hotel. The driver we had was phenomenal. 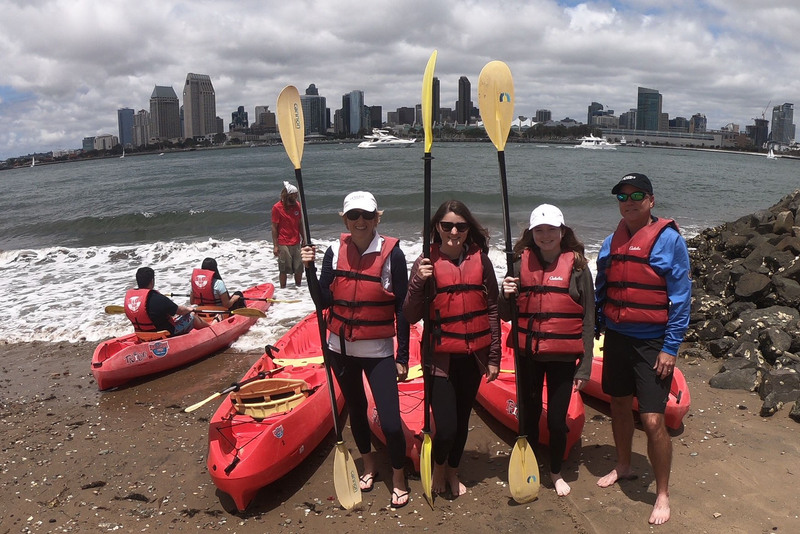 Most importantly, (and if you are the parent of a teenage boy you will understand this) our seventeen year old son was completely engaged in the whole trip – no eye rolling, no sighing – we had a GREAT time with him. I would highly recommend Philip!!! Read more reviews of Jane and Philip. Or request your own trip. Read more reviews of Sandy. Or request your own trip. Thanks to Jonathan and his team, we had a wonderful trip to the UK (England and Scotland) and made some lasting family memories. When we were walking around London on one of the days my 6 year old son Henry said, “Mom I want to learn another language so I can talk to all kinds of people.” If he takes nothing else away from this trip (which is unlikely because he learned a TON), mission accomplished! Every guide and driver was amazing- each was totally patient and flexible with our party of five, including a 4 and 6 year old, and had vast knowledge and context of the sites we saw. It is nice to have guides that are conversational on many different topics and don’t just want to lecture. We can’t say enough about the quality of the people Jonathan set up for us. We had a minor bump in the road the day we were set to leave the Cotswolds and head into London- the Brexit protesters were expected to bring 700K+ protesters into Westminster, which was right where out hotel was located. Despite the time change, Jonathan was responsive to trying to find solutions and his guides “on the ground” worked through some solutions real time. Within a few hours we had a game plan (staying a night in Windsor just outside London) and were able to get on with enjoying our last day in the Cotswolds- which ended up being a fantastic trip to Bath. Because of his relationships with the London guides, Jonathan was also able to move our tours the first day in London to the afternoon so we wouldn’t have to forfeit the fee we paid since we were outside the cancellation window. Jonathan also graciously made hotel recommendations to us despite us using points for our accommodations. They were all 5 star quality and really special. I know this isn’t most WOW experts preference, but we appreciated the courtesy. All in all, we had a fantastic trip and saw many awesome sights, had some great experiences and had a lot of laughs while spending time together as a family. We can thank Jonathan and his team for much of that! Read more reviews of Jonathan. Or request your own trip. Donna Thomas created an itinerary for my family of 4 traveling to New Zealand for 2 weeks in March. I was hesitant to use a travel planner since I have been managing our trips for years. This trip has changed my mind! I could not have planned such a wonderful trip on my own. Donna and Kori worked with me on trying to fill the different travel wishes on our list. Letting go and taking their advice was the best decision I could have made. We were able to see portions of both islands, had lots of spectacular hiking as well as other activities that gave us a special view of the country. The hotels and lodges were fantastic and ones that I would not have been able to find on my own. Our guides and drivers exceeded our expectations. They were knowledgeable, very personable and a joy to have around. Donna’s knowledge of the area and her personal contacts in New Zealand were so helpful. I received a binder of all our travel documents and plans in advance. My kids knew immediately that I would adopt this binder for future trips because it was so helpful and organized. Donna’s help did not end once we had our plans. Our first flight leaving home had a mechanical problem and we were diverted to another airport. It was late Saturday evening when I knew that we would miss our flight to Auckland and therefore miss our first day tour. I sent an email not expecting to hear back until Monday. Shortly after, I received a call from Donna telling me not to worry. She and her team would alert the hotel that we would be a day late and would reschedule our missed activity. The next morning I had an email with the new schedule. I was able to relax and enjoy the trip. Donna and her team really care about the details which made the trip special for us. I can’t wait to plan the next trip to New Zealand with Donna. She is simply the best! Read more reviews of Donna. Or request your own trip. My wife and I recently returned from 3 weeks in New Zealand on a trip planned by Jean-Michel, Wendy Perrin’s recommended agent based in New Zealand. We’ve traveled a dozen times with Wow List travel agents and Jean-Michel’s team was one of the BEST. After several telephone conversations, they understood exactly the kind of trip we were looking for and gave us everything we wanted and more. They planned a beautiful itinerary, selected amazing accommodations of the type we wanted (boutique hotels and estates not large chain hotels, all perfectly well located). Every detail was planned and executed to perfection. Out trip was a very “out-doorsy” hiking and touring trip in the vast countryside with 5 star quaint lodgings and small boutiques hotels and private homes everywhere. Without exception, they were all superb. All transfers, internal flights, car rentals, restaurant suggestions etc were perfect. When the weather didn’t cooperate and we had to modify our heli-hiking trips and treks, Jean-Michel’s team coordinated all the necessary changes “on the fly” and monitored the weather forcast and dealt with our guides seemlessly. I could go on and on–I cannot give Jean-Michel, the owner of the company, and our personal agent Monique high enough recommendations. One week after our our return home, our daughter and her husband were also in New Zealand on their honeymoon. There’s was a different caliber of trip which they had planned themselves. They got caught in record torrential showers for 2-3 days and were trapped in a small town with all bridges washed-out. Monique and Jean-Michel’s company volunteered to help them out if needed–“they were family”. Need I say more? 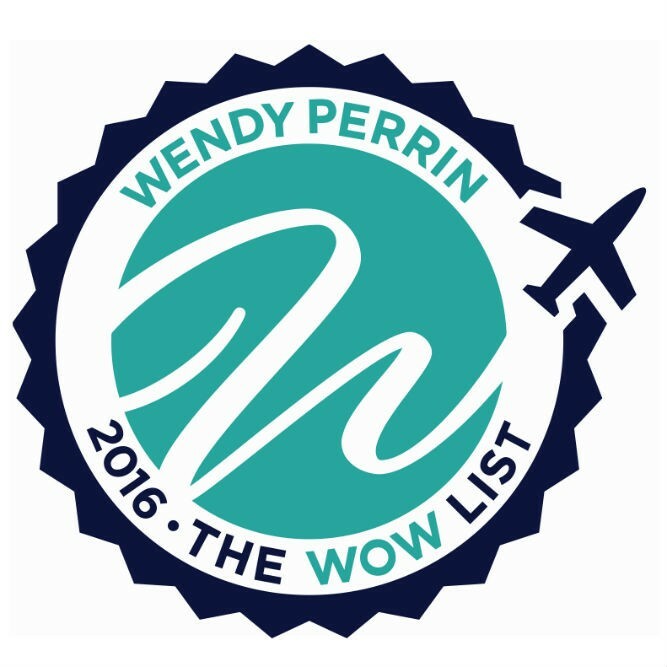 Thank-you to them and to Wendy Perrin for a gorgeous WOW Moment gift–we really appreciate it. Read more reviews of Jean-Michel. Or request your own trip. This was a bucket list item for my girlfriend. She’s always wanted to go to Dubai. So for her 50th Birthday I wanted to make it happen. My only thought was that we had to experience the Burj Al Arab as it’s an icon of Dubai. Justin and Lindsey made sure that this was more than a vacation. This trip was an experience that we will never forget. They provided us a sampling of what both Abu Dhabi and Dubai had to offer. Their first hand expertise was what made us comfortable with their suggestions throughout the process of planning. They took care of both large details as well as some small items that a regular travel agent would have missed. Small touches such as birthday cards and balloons at each of the destinations for which we stayed, 3 destinations to be exact. The appropriate transportation to the different destinations and tours of the cities to get a chance to experience the culture of Abu Dhabi and Dubai. As always there’s going to be some unplanned situation for that will arise which was handled professionally and without undue stress. I can’t begin to tell you how much we enjoyed our experience and plan on using their services for any and all vacations that we will take in the future. Make sure to be open to things you haven’t thought of as part of your experience. I intentionally use the word experience because it’s more than just a vacation. It’s an experience that you won’t forget. Read more reviews of Lindsey. Or request your own trip. Allie was instrumental in the planning stages of our trip to the Galapagos as she was well informed about the different live aboard options & the itineraries. Not only was she able to get us booked on our first choice ship, the Alya, but at a far better rate than the published price! It was a fabulous segment of our trip. We also were more than grateful that, when our original flight into Guayaquil, Ecuador was cancelled and our new flight arrived at a very late hour, she made sure there was someone at the airport to pick us up and deliver us to our hotel at that late hour. That was so appreciated! She understood our desire to experience the real culture of Ecuador and arranged many wonderful day trips to the countryside & coastal areas of Guayaquil and the mountain communities near Quito. Our visits to local farms, a banana plantation and a cocoa plantation were memorable. Everyday, the food was better than the day before! Our guides were all exceptional and our accommodations at historic hotels and haciendas were more than expected! La Casona de la Ronda, our hotel in the center of old town Quite, was wonderful! In short, Allie took care of every detail to insure we had a wonderful experience! We definitely recommend Allie to any travelers who want an amazing trip to Ecuador! PS: Tricia celebrated her birthday on the day we left the Galapagos & arrived in Quito, Ecuador. Both the staff on the ship and the hotel were informed of this & had small complimentary celebrations for her birthday. Such a nice surprise! Read more reviews of Allie. Or request your own trip. We were so delighted with our Jordan trip last year, arranged by Dan on Jonny’s team, that we solicited Dan’s assistance again with our February trip to Oman. As usual, we conversed, told Dan what we were looking for, our physical limitations and our desired level of accommodations. He assembled a varied list of things to see and do subject to our approval. Over several detailed collaborations we solidified an itinerary that both met our financial pocketbook as well as offering a cultural diversity we needed having seen many of Oman’s highlights on a previous trip. The itinerary was well paced, efficient and varied; it met all our expectations. The local guide, Adil, the accommodations and transportation were all just right. Dan was always available and responsive in order to resolve any bumps in the road, offer alternative suggestions where appropriate and answer any pressing questions we had. Truly a pleasurable and enriching experience. Read more reviews of Jonny. Or request your own trip. Cuba is such an amazing destination and largely unspoiled. The people are genuine in their desire to serve and give a great experience. The guide and driver were priceless and truly gave us the experience we weren’t sure was possible. The sights, sounds and food of Cuba was surprising in a good way. The Kempinski Hotel was beautiful and offered a superior experience. The guide was available to us all day into the night and she was able to make schedule adjustments because she was our private guide for the entire 5 days. When we said that the old convertible for our Malecon drive was not going to be comfortable for us and our 2 friends she immediately got a second car within minutes and we did the 45 minutes drive around in tandem and comfort! We spent more time at certain places and less time at others all at our schedule. That’s the beauty of private travel. David has a tremendous knowledge base which made our experience very special. Ivan & Justo was our favorite restaurant for the food, service, atmosphere and a close runner up was Sentidos. We would do both of those twice in a trip next time! Read more reviews of David. Or request your own trip. We traveled to Paris and Chamonix during the Christmas 2019 holiday, and used Jack Dancy as our travel planner. My initial conversation with Jack took place several months before our trip, and he asked excellent questions to get an idea of what kind of trip I wanted for my family (my husband and I, and our three boys ages 17/14/9). I was really excited about his ideas and depth of knowledge. Over the next few months we decided on lodging, a really important piece of the trip, and Jack did not disappoint! He found us an incredible apartment in Paris in the 6th arr. The location and beauty of the apartment turned out to be one of our favorite things about the trip. He also found us a good place in Chamonix, although our lodging choices there were limited by the length of our trip, as we did not meet the minimum stay requirements during the holidays. I was grateful for Jack’s persistence on this point; we would have been really frustrated if we had tried to find Chamonix lodging on our own. With the lodging secured, we turned our attention to the itinerary planning. With a city like Paris, the options can be overwhelming. Jack put together a pretty good itinerary, with plenty of information on the various neighborhoods and cultural attractions. It was a bit frustrating to get a hold of Jack at times during the planning process. I think his company is a wildly popular travel planner so it’s definitely worth using them, but be patient with response times. Of course, they handle lots of different locations, so if you’re heading elsewhere you will probably have a different experience with your planner. The actual trip went relatively smoothly. It’s a challenge to travel with kids of various ages (especially teens) but we managed to keep the whole family interested throughout the trip. Highlights included a food tour, riding around Paris in 1950s-era Citroens, a Basquiat show at Fondation Louis Vuitton, an old-fashioned circus, an excellent walking itinerary in the Marais, and a Christmas Eve choral program at a nearby cathedral. In Chamonix we loved taking the cable car to Aiguille du Midi, skiing (guides are a must! ), and the aprés ski scene. Jack and other planners from his team were readily available to us during our trip. When a question or concern arose, I received quick responses from them. I would recommend Jack for complex trips involving more than one destination, first-time travel to a destination, or groups with different ages and interests. Read more reviews of Jack. Or request your own trip. n planning my 50th birthday celebration, I contacted Julie Byrd on your recommendation to help locate the perfect house in Cabo to rent for 11 ladies. Julie responded immediately after my first email with her. She listened to my criteria and sent me a list of 5 homes to look at. I instantly choose on her recommendation – Villa Tranquilidad. After booking this Villa, I began working with Kimberly Zamora from Julie’s team. She was helpful, read each and every email I sent with questions, booked dinner reservations and when the time finally arrived for our trip .. eight of us were stuck in Nashville trying to get to Cabo. I immediately reached out to her as 2 members of the trip would be arriving right on time. She arranged separate transportation for them at the last minute and had our large bus waiting for us when we finally arrived at midnight. Kimberly even helped my group of friends plan a special catered dinner to surprise me for my birthday. From Julie to Kimberly to our local concierge, everyone was a joy to work with and went above and beyond to make sure it all went seamlessly. I would love to work with Julie and her group again. And now for the Villa she recommended – Villa Tranquilidad was the most outstanding house I have ever rented. There was plenty of space for everyone. The staff at the Villa run by Rosenburg and his wife were a pleasure to see each and every day. They made sure anything we needed was taken care of. They prepared delicious food and the best fresh margaritas!! If any problem arose Rosenburg immediately handled it quickly and efficiently. My sister loved the house so much she plans to go back and stay there again. I have recommended that she get in touch with Wendy so she (who is a world traveler as well) can become part of Wendy’s clients and eventually get a Wow moment herself. The only thing I wish that Julie’s group could do would be to give a better idea on tipping the entire villa Staff. They advised on tipping for room cleaning but for the rest of the staff they just recommended that I give what I thought was fair. I had just been to Jamaica in January and at that villa there was an exact breakdown of how to pay each of the staff members. This would be very helpful I think for future renters. Thank you for getting my connected with Julie Byrd and her amazing team!! Read more reviews of Julie. Or request your own trip. Sophie and Stuart put together a wonderful month long visit to Australia for my husband and me. We had a variety of activities: cities, national forests, sailing trip, self driving on the Great Ocean Road. I wanted lots of walking/hiking built into the trip. We had wonderful, knowledgeable guides for our hikes. We also had ample time to walk and hike on our own in the national parks and the cities. There was a great balance of programmed activity and free time. The biggest hurdle we had was that once the itinerary was set I had to postpone the trip by a few weeks. They didn’t skip a beat – all was done with no worries. I wholeheartedly recommend them. I also want to thank Wendy for our WOW Moment in Melbourne. The boat ride on the Yarra River gave us an amazing perspective of the city. It was a very enjoyable addition to our 53rd anniversary day. Thank you! Read more reviews of Stuart. Or request your own trip. From the very beginning, Jan and his team were responsive and helpful. They tailored our visit to Norway to our specific desires and needs every step of the way. What I like to say is (after nailing down the itinerary unique to us) that we just “showed up” and were taken care of. Since we only had about a week to experience Oslo, Lofoten and Alta, on point logistics were key. Our drivers and guides were always waiting for us upon arrival with a smile and great knowledge of the area. Flight updates (considering the grounding of the Max 8 and potential Norwegian Airlines financial worries) came to us daily. They checked in for us for all flights and boarding passes were waiting in our room the night before our departures. The highlight for us was the day spent dogsledding with our guide Elaine at the Trasti and Trini Lodge with the thrill of meeting the owners’ daughter who had just that day won a major dog sledding event at the young age of 19! And of course, fabulous viewings of the Northern Lights in both Lofoten and Alta. Both of which were bucket list items for years! I highly recommend Jan and his team. Well worth the expense. It was a memorable trip to a stunningly beautiful country. Read more reviews of Jan. Or request your own trip. Read more reviews of Sheri. Or request your own trip. Read more reviews of Patricia and Rachael. Or request your own trip. Lindsey and her team made our 2-week trip to Barbados magical. She listened carefully to what we were looking for in a hotel and taking our budget into account, she delivered in spades. My husband and I are world travelers and good service is our middle name. Lindsey’s recommendation of The Sandpiper was nothing short of genius. It checked every single one of our boxes; the service was probably the best we’ve ever experienced, bar none. The staff and our fellow guests were elegant, warm, and friendly — we couldn’t have asked for a nicer experience. The hotel restaurant and the beach bar were extraordinarily good — unusually good, in fact. Again, the service was exemplary, from housekeeping to the tennis pro to the water sports staff and to every waitperson in the restaurant. We came home relaxed and happy. Everything ran like clockwork, Barbados is stunning, we got to swim with turtles — what more can I say? It was perfect — 2-weeks of total bliss. I contacted Jordan in mid- November 2018 to organize a surprise birthday trip for my husband to Chile with a focus on Easter Island and stop overs at a Casablanca Valley vineyard and a night in Valparaiso. Since it was rather last minute with the birthday in early December, I was concerned that what I was asking for would not be possible because of availability. However, Krista, my point person, was brilliant: she gave me lots of great options, took me through all of them in detail and ensured that this was an incredibly easy and stress-free trip to organize. She was professional, fun to work with and very responsive and I always got off the phone with her with a smile on my face and confident that I was in good hands. The trip was hugely successful and my husband was both surprised and delighted. Highlights of the trip were meeting the people who looked after us – all very warm, friendly and knowledgeable, the unexpected surprise experiences along the way, like the graffiti lesson in Valparaiso and Wendy’s fabulous WOW moment on our trip to Easter Island. 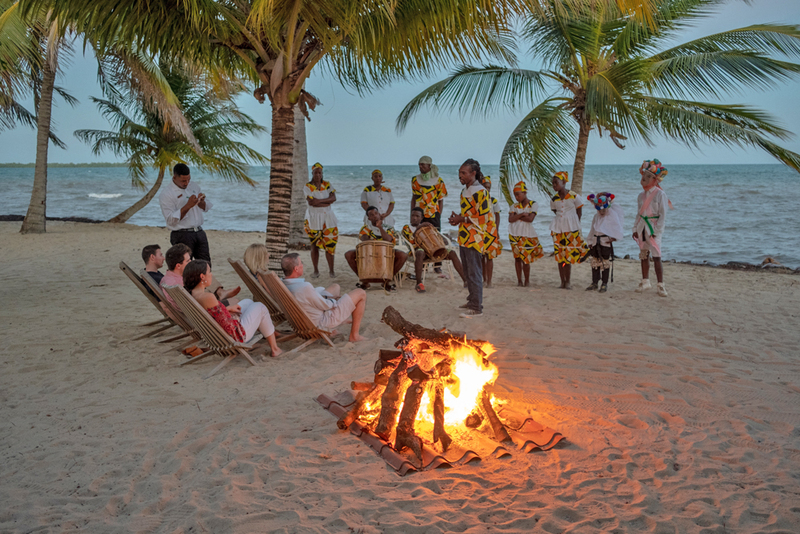 It began with a private guided walk through fields, caves and coastline and ended with music, pisco sours, delicious bites, a presentation of a book on Rapa Nui, birthday cake and a sunset overlooking the moais and the ocean. It could not have been more perfect! Thank you for this unforgettable moment and we were wowed. Read more reviews of Jordan. Or request your own trip. Read more reviews of Julian. Or request your own trip. Jim Berkeley and Arlene Santos — WOW! What a fabulous Egyptian adventure they arranged for the four of us. From the very moment we stepped off the plane in Cairo, when our VIP greeter whisked us speedily through the airport, we knew we were in great hands! Jim and Arlene did everything to make us feel safe and well cared for. At every location — Cairo, Aswan, and Luxor — we were greeted not only by our local Egyptologist (each an incredibly well educated and personable guide!) and driver, but by a local representative who shared his contact information, answered our initial questions, and simply made us feel right at home. Our private Egyptologists, especially in Cairo, were exceptional — filling us with as much history and cultural information as we could absorb. They knew how to avoid the crowds and zero in on the most important sites to see. Our drivers were always there, ready for us the moment we finished visiting a site — and ensured our complete comfort in the van. The hotels Jim and Arlene selected for us were the tops in Egypt, each with its own fabulous view of the Nile — and in the case of Cairo — we could even see the pyramids 14 km away on a clear day! We loved the flexibility of our Egyptologists, giving us glimpses of local life, from meandering through a rural market that tourists don’t visit near Valley of the Kings to enjoying a great pizza lunch (Maison Thomas) and our guides’ favorite shopping haunts in Zamalek (Gezira Island). And so glad Jim urged us to visit Abu Simbel — worth the short flight from Aswan and back to spend time exploring two massive rock temples near Egypt’s southern border with Sudan. While every day was a highlight, the most memorable for us would have to be the pyramids, sphinx, Valley of the Kings, Abu Simbel, and our magical 4-day Nile River cruise on the Oberoi Philae. Truly I could write a book about how thousands of years of history came to life for us during our 12 days in Egypt! And, yes, we did feel safe throughout our journey as security is excellent throughout the country. Egypt rates high as one of the best, most memorable vacations we’ve enjoyed! Don’t miss Egypt! Read more reviews of Jim. Or request your own trip. My adult son and I contacted Jill thinking we wanted to ski in France for a week. She offered to help us, but suggested that we consider a Dolomite Mountains tour as well. She described the Refugio experience, the varied mountain terrains, the unique aspects of moving across broad sections of the mountains and northern Italian cuisine, and sold us on Italy instead. Jill coordinated every aspect of our trip. We were met in Venice by a driver who transported us to our first mountain hotel, La Perla, in Corvara. There we enjoyed an exceptional dinner in a Michelin-starred restaurant. We met our guides the next morning, arranged our ski rentals, and headed to the slopes. We worked our way across the Dolomites, spending the next two nights at two unique Refugios high in the mountains, where we enjoyed wine tasting in their cellars, more outstanding food, and wonderfully comfortable accommodations. We ended our tour with two days skiing the Cortina area and staying at the Hotel Cristallo there. We were picked up Saturday morning and transported to our water taxi in Venice for delivery to the Hotel Danieli. We enjoyed exploring quiet residential areas of Venice until we met our guide for a later afternoon tour of the Venetian highlights. A water taxi was waiting for us the following morning at 4:30 to transport us to the airport for our return trip to the United States. It is difficult for me to imagine how any aspect of our trip could have been improved. Every minor detail was thoughtfully vetted, every transfer was seamless, all lodging was impeccable, the wine tasting was special, the food outstanding, and the guides first class. Our mountain guides are expert skiers who offered improvement tips and engaged us in interesting discussions on a very wide range of topics over many days of skiing and evenings at dinner. Our guide in Venice was also outstanding, with an encyclopedic knowledge and refreshing wit. If Dolomite skiing is on your bucket list, contact Jill, sit back while she arranges everything, and then enjoy a flawless ski experience! Read more reviews of Jill. Or request your own trip. Read more reviews of Andy. Or request your own trip. We wanted to see the non touristy Nicaragua so we’d have a better perspective on how Nicaraguans live. We also wanted activities that highlighted the Nicaraguan landscape. Pierre planned the itinerary based on our goals. He added physical activities like kayaking, hiking in the could forest, biking in Grenada and horse riding. He also showed us beautiful landscapes of Nicaragua – from colonial cities to tropical islands, eco lodges, natural reserves, lakes and rivers. The local guide, Giovanni in Grenada was excellent in his depth of knowledge and information not readily available on the web. The execution of the tour from start to finish was seamless and if minor issues arose, they were handled promptly. The choice of accommodations was great and we appreciated that Pierre encouraged us to go to Jicaro lodge. The trip was well planned and well executed. Read more reviews of Pierre. Or request your own trip. Read more reviews of Eric. Or request your own trip. We relied on Maita to bookend a cruise to Antarctica out of Buenos Aires. Before the cruise we wanted to experience Buenos Aires, and the two tours Maita arranged were both great. Do not visit Buenos Aires without visiting Recoleta Cemetery, La Boca and the Colon Theater. Following the cruise, we also squeezed in a trip to Iguazu. Thanks to Maita’s magic, it all fit into about 36 hours. Her guides were excellent, personable and professional, and all arrangements worked like clockwork. I have nothing but praise and gratitude for the work done by Maita and her assistant Mariana. Mariana even called us in Iguazu on Sunday to make sure all was going well. I cannot thank them enough for helping turn a routine time into a “WOW” experience. They fully deserve to be on your WOW list. Read more reviews of Maita. Or request your own trip. Just back from cruising Antartica-what a fabulous trip! Ashton was able to steer us gently and professionally to Silversea’s Silver Cloud instead of the cruise line we were originally considering on our own. We are so thankful he did! 6 wonderful days of expeditions, culminating in taking the Polar Plunge at the Antarctic Circle. While not every cruise will get the opportunity to do that, our weather permitted it. But it was Ashton, after talking to us and LISTENING, who gave us 3 great choices initially then booked us into a beautiful suite on the Silver Cloud, giving us the trip of a lifetime. Read more reviews of Ashton. Or request your own trip. We just returned from and wonderful vacation to the Magic Kingdom with our family of 10, which included our children and grandchildren. Michelle and her staff took on the monumental task of coordinating all the attractions, kingdoms, FastPasses, dinner reservations, pirate and princess makeovers, and more. The conference calls were fun and they answered all our questions each time we needed them. The trip far exceeded my expectations and EVERYONE had a blast from my husband (grandpa got to hug Mickey) to the youngest (4 year old who became Tinker Bell and met Peter Pan). During the trip we needed to cancel some activities and reschedule some dinners and Michelle’s team answered our email within 30 minutes and fixed all the reservations immediately! Their recommendations were great and we would recommend them highly for your trip to the Magic Kingdom. They took on all the reservation hassles and FastPass planning, leaving us to just enjoy the time we had together without the bother. It was truly magical!! Read more reviews of Michelle. Or request your own trip. Tom listened to our needs and organized a flawlessly executed trip for us to Patagonia. We started by flying to Buenos Aires where an efficient transfer was organized to get us to the domestic airport for our flight to Ushuaia where we were met by our guide, Gascon, for the next 3 days. We were interested in bird watching and Gascon is an expert birding guide and found us many of the endemic species of the area. A highlight of the area was a visit to Martillo Island and Haberton ranch where we saw three species of penguins and on the way back had close encounters with two humpback whales. We then boarded the Stella Australis which was to be our home for the next 4 nights as we sailed towards Punta Arenas along the Beagle Channel. We had outstandingly good weather (not so good for the melting glaciers!) with visits to Cape Horn, multiple glaciers and a giant penguin colony. The water was dead calm for much of the trip with one day having a high of 73, no wind and no clouds in the sky (very unusual). After our arrival in Punta Arenas we were efficiently transferred to the Explora Lodge in Torres del Paine National Park. This was our third visit to an Explora Lodge and it did not disappoint with outstanding hikes and gourmet food to come home to, as well as more good, albeit windy, weather. Our final leg of the trip involved two nights in Santiago at the excellent Singulair Lasterria Hotel with a great day out exploring the city with Katia, followed by a night flight home to the snow in New York. All in all a great way to see Patagonia. Read more reviews of Tom. Or request your own trip. Martin Frankenberg’s initial and very valuable contribution to planning our trip was maneuvering where to go when, and in what order. We had presented him with the challenge of building a vacation around a commitment we had near Sao Paulo. He offered a plan to visit the Amazon, which we ultimately scrapped in favor of his suggested Plan B – a trip including Iguazu Falls and Rio. Once we settled on the itinerary, his team was decisive in their advice about hotels and activities. Hotel Fasano in Sao Paulo’s Jardim district is an elegant, safe oasis in a beautiful neighborhood and a great place to locate for the weekend. For Iguazu, they urged us, and we agreed, that it was most advisable and well worth the price, to stay at the Belmond, the only hotel within the park. Hotel guests enjoy a serene experience when the park is closed to visitors, both in the morning before it opens, and for cocktails on the porch overlooking the falls in the evening. After a day of walking the trails, it was magical to sit on the veranda overlooking the falls, drinking a chilled selection from the gin and tonics menu, watching a bird or two hopping around on the cocktail table, bathed in rosy sunset. And in Rio, Martin’s team recommended the Sofitel right on Ipanema Beach. Not top luxury or price, the hotel was nevertheless a perfect choice for its location on the beach and its rooftop pool and bar providing unobstructed coastal and mountain views. Although anyone could select the most expensive hotels in any market, Martin’s contribution was to suggest spending top dollar where the property was completely unique and compelling, and saving where competitive options were available. His group provided top notch English speaking guides. One of our most interesting and rewarding experiences was touring a favela in Sao Paulo — an eye opener to the rich daily lives of inhabitants of the crowded slums. Read more reviews of Martin. Or request your own trip. From our first phone conversation, it was obvious to me that Tom could help us plan a great trip to Southeast Asia. We had traveled on Uniworld before, so I was interested in a Mekong River cruise with them. Tom was immediately able to tell me all about the cruise and the ship, especially noting ways the trip might differ from other Uniworld trips we’d taken. His comments were very helpful in managing our expectations and making sure we were booked in the right cabin for us. He guided us every step of the way through the process of getting necessary visas. Since we had not been to this part of the world before, I had many questions. He was always readily available to provide answers and help me with our planning. Tom helped us book good business class fares that we never could have found on our own. We had a brief period of panic when one of our outbound flights was cancelled 10 days before departure. Even though Tom was out of the country at the time, it was no problem for his able staff. Ian came to the rescue and worked with the vendor to secure good replacement flights and book a necessary airport hotel for our long layover. Tom was overseeing the process from afar and worked to make sure our new seats were together and that all arrangements were satisfactory. That experience solidified my knowledge that we were working with the right agent. I knew that if we had any problems while on the trip, help was only a phone call away. That’s what I hope for on a trip – especially when it’s to a part of the world that’s unfamiliar. I have no hesitation to recommend Tom Baker. We’ve already booked another cruise with him for next year. Our trip to San Miguel de Allende was perfect. Zach’s team planned an amazing trip for us. Our guide, Arturo, was so knowledgeable and known to everyone! It was such a pleasure to walk down the street with him and feel like a local, not a tourist. Arturo is a walking encyclopedia of history and culture. We toured the Botanical Gardens, archeological sights, and chapels. I can’t say enough how having Arturo by our side made these places come to life. Zach’s team also planned a cooking class with a wonderful chef in a beautiful home with a garden. At Cuna de Tierra Vineyard, Paco and Ricardo were so welcoming and the chef prepared a delicious lunch with wine pairings. Arturo also took us to Guanajuato and Queretero, where he again dazzled us with his knowledge. This is the second time we have used Wendy’s travel experts and have been thoroughly impressed by all the guides and drivers we have met. In fact, we are trusting Wendy to help us plan our trip to Greece in fall! Read more reviews of Zach. Or request your own trip. Read more reviews of Paul. Or request your own trip. Maria Gabriella Landers planned a spectacular trip to Florence, Bologna, and Rome for my family which included my 15 yo daughter, 18 yo son, and my fiance Jay. Italy can be overwhelming because there is so much to do, see, and eat! We found a good balance. All of our transfers were super professional. We had 7 guides during our trip, and each one was highly knowledgeable and gave us a terrific education. All were equally terrific, and it is unfair to say one was better than the other. Toni was our guide for the Vespa Food Lovers adventure in Rome. We really connected with her because she happened to have kids similar ages to my kids, she was super friendly and funny! Alessandro was our archaeologist who gave us an amazing tour of the Colosseum and Forum. Our tour guide for the Vatican was wonderful – Valentina – this tour was quite long and arduous because there is just so much to see. In the end, The Sistine Chapel was definitely my favorite art part of the trip, and that was a hard decision to make – which was the best part of the trip, because Italy is just loaded with greatness everywhere. I have a very busy life, busy work life and I really relied heavily on Maria to design the itinerary. She did not disappoint. I felt all of the excursions were unique due to the guides, and the excursions themselves. The second day in Florence, we visited a noble family estate and enjoyed a cooking lesson with the family chef, a tour of the wine cellar, and had lunch with one of the family members. We learned of the family’s wing of art at the Uffizi, which we visited the next day. We made a 5 course meal and learned how to make tortaloni, with Chef Michele who was terrific. My kids loved this lesson and were very into it. The food, of course, was delicious. The estate was beautiful, even on a cool, foggy day. Meeting people who had a direct hand in the life and culture of Italy was special. Our Food Lovers Excursion on the vespas with Toni was a complete standout. My 6’4” son was mortified to ride on the vespa, and got over that fear in 1 minute. We were a team of 5 vespas! Don’t mess with us! Toni took us to her favorite spots including a famous jewish bakery, another bakery with a very old, long and famous oven. It was exciting to ride through Rome with this perspective on a vespa. I am sure there is no way I could’ve arranged such a trip. All of our accommodations were lovely. Antica Torre di via Tornabuoni had the best view of the Duomo at night, and general view overlooking Florence. The breakfast was delicious. The Grand Hotel Majestic was majestic! Beautiful inside, very sophisticated. Crossing Condotti in Rome had a terrific location. I felt the communication with Maria and her team in Italy was smooth. This seemed to be due to her long-standing relationships with everyone. There were a few issues – a private driver strike in Rome, and I needed to cancel the last guided tour the night before we left because we just needed a rest and Maria and Cristina, her Italy connection, took care of everything smoothly. I am glad we visited Bologna and saw a part of Italy that was not the most common stop, and few tourists were present. I am a dental surgeon and really enjoyed visiting the teatro medica at the university of bologna with my kids. This was a site Maria pointed out to me. I appreciated the travel itinerary books that Maria sent to me prior to the trip with all of the logistics, phone numbers, names of guides, etc. Maria deserves to stay on the WOW List!! Read more reviews of Maria and Brian. Or request your own trip. Irene Edwards and her team were fantastic. First of all, the itinerary was perfect. We loved all three places we stayed and we had the right amount of time in each. I am certain that we would never have found the Kura Villas on our own. This might be the most beautiful place I have ever been, rivaling the Il San Pietro in Positano. Just gorgeous. In terms of during the trip, the people on the ground were wonderful. All of the guides and drivers were friendly, really nice and very knowledgeable. Everybody was perfectly on time and extremely accommodating. Most important, we realized that we had left our camera battery charger and spare batteries at home and the battery in the camera was dead. Before we realized that we could charge it on a mini SB port, we contacted Selena Solis and she was incredible about contacting camera shops to find a replacement charger and battery and was going to deliver it to us at the airport and, if we didn’t connect there, to send it on the next flight to Osa. We were very relieved to realize that we didn’t have to put her to all of that trouble but she was completely on top of it and was going to make it happen. We were very impressed. I would definitely use Irene and her team for our next trip to Costa Rica. Read more reviews of Irene. Or request your own trip. Read more reviews of Kleon. Or request your own trip. Our travel group was family and consisted of 9 people/3 generations. So, there were challenges in accommodating a range of activity levels and individual interests. We chose a 13 day driving trip, spending 2-3 nights in several places, which also added complexity to the trip. Miguel’s team did a fabulous job of listening to what we said we wanted, persuading us to reconsider some of our initial less workable thoughts, for setting us up with superb guides/drivers, and for selecting very interesting and appropriate “experiences”. Some were unusual and special and some were even arranged as we travelled. As I said–wonderful guiding. And I should also call out the driving team that dealt with car sick children, made sure water was available, navigated difficult and late driving cheerfully, and were excellent in all regards. Read more reviews of Miguel. Or request your own trip. Read more reviews of Andrea and April. Or request your own trip. This is my third WOW trip specialist — Egypt and Turkey before, and this time India. Sanjay Saxena did an excellent job of listening to what we wanted in a trip, and customized our itinerary for our specific needs, including some out-of-the-box ideas like going zip-lining around the Red Fort in Jodhpur, getting henna tattoos, and going to a Bollywood movie. Everything was well-run once we were in India, and we felt 100% supported. India isn’t the easiest country to visit, but Sanjay ensured we saw the highlights; everything was beautifully arranged and the trip was magical. The guides were outstanding. Read more reviews of Sanjay. Or request your own trip. Jennifer Virgillio and Sylvia Bury (we are Indonesians and she is an Indonesian as well) did excellent job for us. From the planning stage, we talked on the phone to inform them about our trip and preferences, and they listened to us well. We visited Lourdes, Lyon, and Paris in France. They provided us with excellent guides who really worked extra miles. The first guide in Lourdes, Gabrielle, she even brought us to Gavarnie, a beautiful place one hour drive from Lourdes, which was not included in the itinerary. Thumbs up! In Lyon, we did a great food tour with a young gastronomist, and being a foodie, we were happy when she brought us to Les Halles de Lyon Paul Bocuse, where she brought us to taste great chocolate from the specialist, charcuterie, cheese and wine. Then Paris was memorable. It’s all about special access, skip the line, went in to the private area where are not accessible by public. Our guide to Versailles, Marie Ange, she’s one of a kind. She knows the history and the palace very well, she made us to get in to the private access, skip the line, and got permission to enter the “not for public” sites in the palace. She is another excellent guide. In Louvre, Jennifer and Sylvia managed to arrange our tour with one of the curator which was amazing. Followed by a secret food adventure (part of our Wow Moment) with a young chef, who is very passionate about food. He brought us to the best specialty shops, from meat shop, seafood, chocolate, jam, puff pastry, and macarons. We managed to taste them all in 2 hours before we go to Eiffel Tower (another skip the line service) Despite the packed itinerary in Paris, we still have a whole shopping day on our last day. One last thing. They arranged meet and greet service at the airport, which was very helpful for us. The greeter told us that our luggage was too heavy so he arranged the luggages, proceed with our VAT refund, check in, immigration, etc, with no hassle at all. We were happy with the service provided by Jennifer. All communication was easy, and they executed it perfectly. Read more reviews of Jennifer. Or request your own trip. Read more reviews of Gonçalo. Or request your own trip. My family of four (spouse and two daughters 15 and 11) had a great trip to Turkey. We chose to go over the holidays which is something we would not do again as the weather impacted our enjoyment of the trip. With warmer weather we would have enjoyed the trip appreciably more. With that said, the arrangements and itinerary were excellent. We went to Istanbul, Cappadocia, Izmir and back to Istanbul for New Year’s Eve. Due to snow in Cappadocia our flight from Istanbul was canceled. Ugur (part of Karen’s team at Sea Song) rearranged our entire itinerary and even though we arrived in Cappadocia a day later than planned, we were still able to do everything on our original itinerary. This involved moving four flights, changing dates on two hotel reservations and juggling our guides and activities. We went from panicked/depressed to incredibly impressed in two hours. We were given great suggestions for restaurants and offered a variety of hotel options to suit the needs of our family. Every trip we do “3 best things of our trip” and my highlights for my girls were “seeing the underground city” “the library at Ephesus” and “eating a ton of Turkish sweets” My wife and I loved the hot air balloon ride over Cappadocia even thought it was freezing cold (14F at take off) and the private Bosphorus cruise from our hotel. Both are must do’s. We highly recommend Karen and her team, they were great. Read more reviews of Karen. Or request your own trip. Read more reviews of Jalsa. Or request your own trip. This is our second time using Virginia and her team. They are the best travel planners we have ever experienced. If you are going to Spain or Portugal, you should use their team! Everyone connected with Virginia – every single staff member, every driver, every guide and every hotel they recommended were extremely customer focused, caring, attentive and committed to delivering a world class experience. We will be booking another trip here again soon with Virginia and her wonderful team! Read more reviews of Virginia. Or request your own trip. We’ve traveled extensively around the world and this was our first time in Nepal and Bhutan. Toni Neubauer and Jen Cinquini who is on her team were a pleasure and total pros. I asked them if they could arrange something special on my wife’s birthday and they really delivered! The entire day was oriented to her birthday and ended with a trip to a monastery where the nuns performed a special chant/blessing after which we shared tea and birthday cake. A day my wife will never forget. From the time we departed LA until we left Kathmandu…they had it handled. Very special shout out to our guide and driver in Bhutan, Chencho, and Ganesh as well as our driver in Nepal, Depak. Read more reviews of Antonia. Or request your own trip. We really enjoyed Ethiopia – the culture, history, religious aspects, architecture. Our guide throughout the trip, Elias Alemayehu, was terrific. We would highly recommend him. We found the people in Ethiopia to be warm and friendly. Zanzibar was also good. Elizabeth made an executive decision to have us stay at the Park Hyatt in Stone Town – absolutely the right decision. Mnemba Island Lodge was superb – we had a few very relaxing days. We were surprised and WOWED by our WOW moment – a Processional – all for us. Could not have been a better choice. Read more reviews of Cherri. Or request your own trip. Paul’s team in China planned a 5-6 hour outing in Shanghai for me while I found myself with a day off between business meetings. Mathias was an excellent guide and travel companion. He showed me aspects of the city that I simply could never access or appreciated the significance of alone. For example, he took me into a former single-family home that has been converted into more of a rooming house for multiple families. He also helped me understand the real estate pressures and the constant redevelopment of the city. It was worth the cost and a hands-down highlight of my trip to China. Caroline Wood planned a 10 day trip for the 4 of us (6-year-old twins and my wife and I) to Jackson Hole, Wyoming over Thanksgiving. We were searching for a memorable trip in the mountains anywhere in the west that had the best chance of finding snow. Caroline steered towards Jackson Hole after hearing her extremely proficient understanding of every mountain area from BC to Colorado. Caroline found the perfect cabin in the Tetons for Thanksgiving for half of the time and then obtained a truly phenomenal suite for us at the Four Seasons. We booked excursions in the refuge to see bison, hundreds of elk and bighorn sheep. We were directed to great hills to sled on and wonderful hiking areas to see the Tetons. We highly recommend Caroline. She checks all the boxes for a 5-star experience. Read more reviews of Caroline. Or request your own trip. My husband and I were thrilled with the experience in Yogyakarta that Diane arranged for us! In the planning stage, she was super responsive to my emails and gave helpful reminders throughout. I am so glad we didn’t go it alone. She hand-picked our guide who was extremely knowledgeable and perhaps even more importantly had grown up in the area and was eager to share its history and traditions. Our guide introduced us to local craftspeople and we were able to see firsthand how batik and wayang puppets are made. When I discovered a bar of artisan chocolate made locally in the hotel mini-bar, our guide helped me track down where it is made so I could bring some home as gifts! Speaking of the hotel, we were on a budget and Diane helped us maximize it for sure. I was shocked that she had managed to find such a lovely place for our price point. Gorgeous pool area for relaxing after tours of stunning temples, as well as a warm and helpful staff. If left to my own devices, we’d have ended up overpaying for something excessively lavish or ended up somewhere affordable but underwhelming. Truth? I am glad we skipped Bali and opted for this experience instead, which was a far better fit for our interests. That is all because Diane took the time to really listen and give advice that only comes with the years of experience she has in Indonesia. Read more reviews of Diane. Or request your own trip. Our 30th Anniversary was fast approaching and we had nothing planned! We visited the Hawaiian Islands on our wedding trip and we thought it would be a good time to revisit the Big Island, which we really enjoy. Naturally, we started with Wendy Perrin’s WOW list of agents and decided to use Jay and Dani for our planning. This was not a complicated trip, however, time was short and I was concerned about hotels and excursions being unavailable. Dani asked us thoughtful questions regarding our interests and what we wanted to do. We wanted to maximize our site-seeing time and beach time too! Dani understood this and arranged a circle island helicopter tour, a moonlight manta snorkel excursion, and hiking if the weather permitted. Dani picked the perfect hotel with a fantastic beach: the Mauna Kea Beach Hotel. This hotel is not ostentatious but has a very welcoming and friendly feel. From the welcome arrival with a traditional lei greeting and check-in, everything went smoothly and efficiently. And we did use the concierge service for restaurant reservations and maps. The design of the hotel was to maximize the terrain and the enjoyment of the beach and ocean. The beach is a very well-kept 1/3 of a mile gold sand beach good for walking and just enjoying the ocean and sunset. There are plenty of activities at the beach; paddle boarding, swimming, traditional out-rigger boat complete with a shell blower to make the arrival and departure and even the opportunity to snorkel with the mantas from the beach. It’s a lovely walk out into the ocean as the beach is protected a bit, like a cove. And if the beach is too windy for the umbrellas or you want something different there is a great pool with hot tub and lots of very comfortable lounges with umbrellas. We used the pool a day or so as well. Additionally, they have a great tennis facility! We had decided not to take golf or tennis equipment as this trip was to be about visiting the Big Island and relaxing on the beach. But one day we decided to check out the tennis shop for T-shirts and such, and I could not resist the call to play. The club had racquet rental as well as shoe rental! They were not fussy about the dress code either so my work out shorts were just fine. At the hotel, there are many classes offered regarding Hawaii life and also hotel tours regarding the artwork displayed. I took the art tour offered and it was very educational. The tour provided insight on the artwork displayed and also the background as to how the hotel came to be and the design/feel of the hotel. And a special part of staying at this hotel was the staff, so accommodating and friendly. Every morning at breakfast buffet we had an ocean side table and the staff was concerned about the exposure to the sun and would bring out the awnings just before the sun became an issue. The staff always seemed to be at least one step ahead and were able to anticipate our needs. The weather cooperated for all activities except the hiking. The excursions Dani arranged were timed for us to take advantage of the time change, east coast vs Hawaii time. Dani also provided some trip planning software/app so we could communicate and keep track of our excursions and the vendors could notify us if something changed on their end. This app worked very well and made the planning and referencing of trip details very easy and convenient. In addition to a beachfront room we also we received upgraded seats at our Luau, chilled bottle of champagne in our room, additional champagne at dinner at an off-resort restaurant –all of these were very nice surprises! It was a great trip for us, thanks to Dani and her team! Read more reviews of Jay and Dani. Or request your own trip. Read more reviews of Lynette Or request your own trip. When I reached out to Claudia and Mirium to help plan a once-in-a-lifetime trip for my Mother, I had high expectations. Not only did they knock it out of the park, but they made this trip to Austria and northern Italy truly a lifetime memory for which we will always be grateful. The hotels were hand-picked and exceptional, the guides were knowledgeable and personable, and the activities were well-timed and exactly what we asked for. 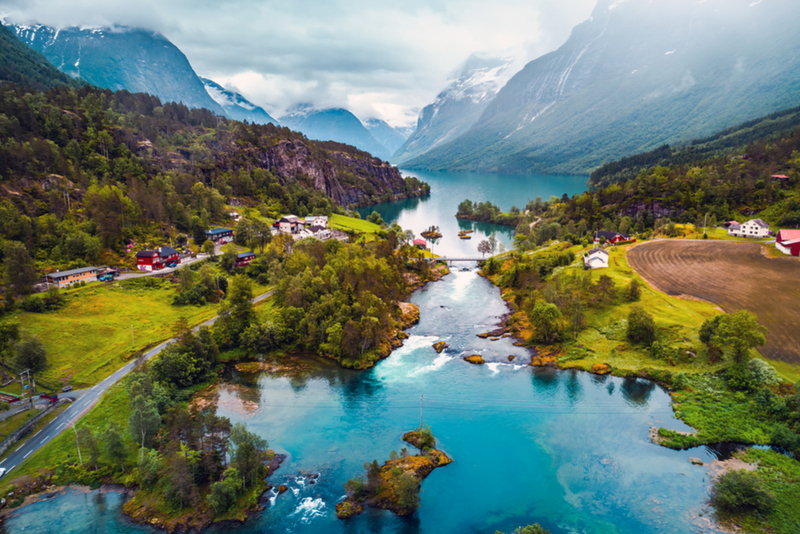 We were working with specific cruise dates and were looking for a 10-day pre-cruise trip that would give us mountains, water, beautiful scenery and culture in destinations that were easy to get around. When I contacted them two weeks prior to the departure to let them know that Mom had a medical issue that could limit some of her mobility, they were immediately responsive. They discretely shared this information with the guides such that they were able to route the day trips and tours for routes requiring less walking without sacrificing the original itinerary and plan (and without Mom knowing!). The hotel in Lago d’Iseo was a hidden gem, literally. The apple strudel cooking class in Salzburg was super fun and engaging. The Piglet they provided was a thoroughly detailed day to day guide that covered every potential question. Mom is still smiling from ear to ear and already talking about planning her next adventure. I cannot say enough great things about Claudia and her team and would hire them again. Not only because they are clearly experts in this region, but because they cared about our experience from the minute I sent them the email to initiate the trip to the minute Mom returned home where she found a beautiful floral arrangement thanking her for letting them be part of her trip. 10-star service every step of the way. Read more reviews of Claudia. Or request your own trip. Read more reviews of Michael. Or request your own trip. Read more reviews of Marcello. Or request your own trip. 10 wonderful days in Japan. 3 Fabulous hotels including a special experience in a Ryokan/Onsen (Japanese inn with Hot Springs) in the small towns of central Japan. A number of unique experiences including a Japanese cooking class with a chef at her home in Tokyo. A visit with an exclusive Kimono maker in Kyoto. Top-flight restaurants suggested and reserved in all locations with a variety of culinary experiences. Every day was with one of 3 professionals to guide us through all regions. Lots of the usual stuff with Shrines, Gardens, Temples, Museums and tailored shopping to our tastes. All planned and discussed/tailored in advance. Scott did exactly what we asked him to do and tried to tailor all to our needs and wants. My only slight concern was the length of time in Kyoto which could have been cut back by a day. Too many temples, shrines, and Shogun homes at that point. We were a bit burned out on that. However, the guide was flexible and rearranged the planned agenda to shift to arts, museums, and shopping. His tailored experiences were excellent and unique. Things that we could not have arranged on our own. His restaurant picks with our input were also right on and ones we could have never picked on our own. Read more reviews of Scott. Or request your own trip. This was the first trip for which we used a travel agency, and our experience could not have been better. Marisol and her team helped us with our 14 day trip through Peru, and everything from the places we saw to the hotels we stayed in, our expert guides, and all the travel logistics far exceeded any of our expectations. The trip was absolutely amazing! We would recommend Aracari to anyone looking for a phenomenal trip to Peru. Read more reviews of Marisol. Or request your own trip. I worked with Greg Tepper and his right hand, Gwen Kozlowski, in planning our September 2018 trip to Moscow and Budapest. In Moscow, the Metro stations, the churches with golden domes, and the Kremlin were all great. But our favorite experiences were (1) the Museum of Tolerance, where the complete honesty and openness of the museum’s required private guide demonstrated how Russia has changed, and the State Museum of Contemporary Russia, where the note in one exhibit that the “reunification of the Crimea with Russia…was the result of universal free expression of the will of the Crimean people” demonstrated how Russia has not changed; (2) two performances of the Bolshoi Ballet, with tickets secured for us by Exeter; and (3) the GUM store near the Kremlin. By the way, in Moscow, we had no problems with personal safety and were treated very well by everyone we came into contact with. In Budapest, highlights were (1) morning shopping with the chef of Gundel restaurant and a specially prepared lunch by the chef in a private room, with Gundel’s sommelier overseeing the very good wines we were offered, including a 5 Puttonyos Tokaji Aszu; (2) a new, special exhibit at the Dohany Street Synagogue on the Hungarian ghettos late in WWII after Hitler invaded Hungary; and (3) music events at Liszt Academy and Béla Bartók National Concert Hall, with tickets secured for us by Exeter. Of course, we enjoyed Buda with its views of the Danube and other sights. The Club Lounge at the Ritz-Carlton was great and so valuable for us because it gave us flexibility in eating breakfast (I could easily get carry-out coffee and a roll while my wife was still in bed, and return later with her for more breakfast), plus on the two nights when we went to 7:30 pm music concerts, my wife and I could have a light, quick dinner in the lounge before we went to the concert hall. Only my initial conversation was with Greg. Most of my contact was with Gwen, who was simply wonderful to work with, both technically and personally. I could not have been more satisfied. Read more reviews of Greg. Or request your own trip. Read more reviews of Madelyn. Or request your own trip. Nina and Dan assisted my wife and me in organizing an almost 3 week trip to South Africa in September. The trip was terrific and Ninas and Dan’s guidance spot on and invaluable. The hotels in Capetown, Hermanus and Franschhoek were exactly to our liking…..smallish boutique well-appointed properties, well located for easy walking to town/sights, with exceptional service by the respective staffs. We could not have identified these perfect fit accommodations without Ninas and Dan’s knowledge and help. Their experience was also invaluable in choosing our 2 safari camp locations. Nina and Dan fit put us into 2 camps that fit our budget yet were luxurious and provided us with 2 different experiences in Timbavati and Sabi Sabi. Again, we would never have been able to make such an excellent choice by ourselves. Our in-country logistics were flawless and Ninas and Dan’s recommendation for a South Cape tour was perfect…it cost a bit more than the standard offering, but the guide was excellent and the experience superb. The guide had even arranged for us to have a penguin expert from the local association to accompany us on our visit to the penguins which added tremendous value to that segment of the trip. Lastly, we were concerned over baggage restrictions when flying out of safari back to Joburg on Federal Air. This concern was quickly dispelled by switching that flight to SAAirkink which had no such restrictions. This required a short transfer from our camp to a local airport but was well worth the small inconvenience so that we could pack what we desired for a 3-week multi-faceted trip. I would certainly recommend Nina and Dan to anyone wanting to plan a trip to South Africa. Read more reviews of Nina and Dan. Or request your own trip. I went to Wendy’s List a few years ago looking for someone to help me with a trip to the Canadian Maritimes. No one was listed for Eastern Canada, but Marc Telio was there to help with Western Canada. I contacted Marc, who told me that he has a friend who specialized in Eastern Canada and he felt that she would do a great job. Most travel agents would have jumped at the chance to book a trip. Marc wanted us to have the best possible experience, so he gave the booking to Jill Curran. Jill, who is now on Wendy’s WOW List as the top travel specialist for the Maritimes, planned a wonderful trip for us. We came back the following year to have Marc put together a trip to Vancouver Island. Every day of that Vancouver trip was a WOW experience. I still dream about the places we stayed and the little stops along the way. This year, Marc suggested Nimmo Bay. He and his team attended to every detail. The transfers were handled beautifully, even with airline delays. His hotel suggestion put us in the heart of the city, with easy access to everything. We had a wonderful city tour of Vancouver. The guide was extremely knowledgeable and a great storyteller. We hated to have the day end. Marc had built in a half day to wander the city on our own before we took off for Nimmo Bay. We wanted a tour of Dr. Sun Yat-Sen Classical Chinese Garden. One call to Kate on Marc’s team made it happen. Wendy had given us a WOW Moment that we would be receiving on this trip. We could not imagine what Wendy would come up with. Our only instruction was to be in the hotel lobby at 7 pm for our WOW Moment. That’s when Marc showed up — and not only did we finally get to meet him in person, but he took us for dinner at his favorite restaurant in Vancouver. The food was wonderful, and the conversation was lively. It was such a pleasure to get to know the man behind the ideas. There were many phone calls and email exchanges planning our trips, but getting to spend an evening with this remarkable man was the best. I have used Wendy’s list of travel experts for decades. I can say without any hesitation that Marc is the best of the best. Read more reviews of Marc. Or request your own trip. We worked with Andrea and her team to organize our honeymoon on relatively short notice — about a month before our trip, scheduled for the end of August which is typically very busy in Italy. The team listened to our ideas and desires for the trip and quickly prepared an itinerary that took us to Lake Como, Lake Garda, Tuscany and Ravello on the Amalfi Coast, with accommodations and activities to match what we were looking for. The team was great about adjusting the itinerary to squeeze as much in as we wanted or to manage the budget. Our trip included a private boat tour of Lake Como, wine tasting in the Valpolicella region, day trips to small towns scattered around Tuscany, and a private tour of the ruins of Pompei, among other things. We could not be more happy with our trip. The accommodations were spectacular, particularly Casta Diva on Lake Como and the two Belmond properties in Tuscany and Ravello. The tour of Lake Como was one of the top experiences of our trip thanks in large part to our wonderful guide, Rita. She was a delight and we’d recommend her to anyone. Our guide for Pompei (Carmine, if we’re remembering his name correctly), was also incredible and we wouldn’t hesitate to recommend him. All of the drivers were also very good in their own right, very charming and personable, and managed transfers seamlessly. Regarding Andrea and her team’s service, everything was wonderful. It was an enjoyable and clear process from start to finish, everyone is incredibly kind and professional, and we wouldn’t hesitate to use Andrea again in the future. Read more reviews of Andrea. Or request your own trip. I have wanted to do a “re-positioning” cruise for many years, and we finally had the opportunity to do that on the Viking Sea, as it moved from the Caribbean to the Mediterranean. We booked our voyage with Mary Jean and her team, and our primary contacts were Halina Melerowicz and Rebecca Lampert. They did a wonderful job advising us on our cabin selection and helped us keep track of deadlines as the date for our sailing approached. They were especially helpful in arranging shore excursions in places where we wanted something just a little different. For example, in Cadiz, we had a wonderful and informative tour of the Museo Archeologico, before driving on to Jerez for a private soak in the Hammam Andalusi Baths. In Valencia, we joined a fabulous cooking class to learn the art of making classic paella, and then had a private tour of the city on bikes. They also arranged our post-cruise tours in Barcelona and booked our reservations at The Majestic Hotel (which included a lovely room upgrade!) They were very attentive and responsive as we worked to put everything together. Read more reviews of Mary Jean. Or request your own trip. We contacted Judith Root, one of Wendy’s trusted travel specialists, to help us plan our trip to Alaska. We knew that we wanted to experience Alaska from land rather than a cruise, but were overwhelmed by the difficulty of finding the sort of vacation that we wanted. Judith really listened to our wish list and organized a trip of a lifetime to a couple of wilderness lodges. The lodges themselves were isolated although you would not know that from the quality of the food, and we enjoyed incredible adventures. These included a glacier hike with a guide where we were the only people there, up close brown bear viewing and kayaking to see sea otters. Everyone at the lodges was friendly and happy to help make our time everything that we wanted. Most of the arrangements were very smooth but we were unavoidably delayed by weather (a hazard in Alaska). Judith’s team were readily available on a Sunday to book a hotel and dinner reservation and make sure that we were looked after. Overall this was a vacation that we will never forget and we would not hesitate to recommend Judith to plan a trip to Alaska. Read more reviews of Judith. Or request your own trip. Read more reviews of Daniel. Or request your own trip. Philip Haslett and Julie on his team designed the perfect trip to the South of France for us. My husband and I travel a lot and like to explore independently. Philip and Julie designed an itinerary that allowed us to drive from one beautiful village to another using a detailed GPS map they provided with magnificent stops and suggestions along the way. Philip knows all the secrets of Provence and the French Riviera because he lives there. Having a WOW moment to use during this trip, Philip surprised us by personally taking us on a driving tour in a classic Citron CV2! It doesn’t get any more French than that! Thanks to Philip and Julie’s relationships we were treated as VIPs at every stop. Can’t recommend Philip highly enough. Read more reviews of Philip. Or request your own trip. We took a trip to Costa Rica planned by Natalie Ewing and her team from Feb 26th to March 9th, 2018. We flew into San Jose and spent the first night in a downtown hotel before being picked up by our two fantastic guides, Federico and Minor the following morning. From then on, we had a great time exploring the beauty and wonders of the country. We took our time getting to our first destination – Kura Design Villas in Uvita. Wow, what a beautiful setting and what wonderful accommodations. This place is breathtakingly beautiful and they made sure we had the best room on the property. The sunsets were spectacular every evening! While there we spent a day on the water snorkeling and fishing and another day lounging on a beautiful private beach. Federico and Minor also made sure we found some great local spots to eat – we especially loved the ceviche and all the fresh fruit. At every turn our guides made sure to point out interesting flora and fauna as well as helping us to communicate with our limited Spanish. They were incredibly knowledgeable and quickly learned what we liked and made sure to attend to our every need. When the inevitable small mishaps occurred, they would spring into action and make sure we got right back on track. We left the Dominical region and moved on to visit the native Boruca reservation. After a refreshing break at one of Costa Rica’s many waterfalls, we then headed north to Perez Zeledon and the Hacienda Alta Gracia. Another fantastic property where we spent the next several days exploring, horseback riding and hiking to another spectacular waterfall. They even arranged for a private aircraft to help us get back to San Jose to take care of a medical issue and return without missing a beat. From Alta Gracia we flew over the volcano and landed in Arenal where we were reunited with our guides and stayed at the Nayara Hotel, another beautiful property. We enjoyed a zip line excursion over the rainforest followed by another great hike with plenty of stops to see some amazing birds. After a few fantastic days in Arenal we headed to the Nectranda Cloud Forest garden where we had a private tour and a nice lunch with the proprietors and a few other guests. Our guides and trip planners did a fabulous job every step of the way and took us to a number of places that we would have been hard pressed to find on our own. More importantly, they really listened to what we liked and picked up on our cues so that our every need was promptly attended to. We can’t say enough good things about Federico, Minor, and Natalie who helped us with all the planning and logistics. We heartily recommend her and her team and look forward to having them plan our next visit to see the country. Read more reviews of Natalie. Or request your own trip. Read more reviews of Zulya. Or request your own trip. Read more reviews of Linda. Or request your own trip. Read more reviews of Meg. Or request your own trip. We’d highly recommend renting your pied a terre in Provence through Annie Flogaus. She has access to so many wonderful properties and was extremely helpful in finding the exact right fit. She knew every facet of each property we were looking at and answered every query we had in detail. When our first villa canceled our reservation 5 months ahead of time because the owner decided to sell, she quickly rebooked us into an even more fabulous home and secured compensation from the initial owner to more than cover the difference in cost. We will definitely use her services again! Read more reviews of Annie. Or request your own trip. Read more reviews of Leslie. Or request your own trip. I started working with Mara Solomon, a year prior to our trip. I would work with her again in a heartbeat. Mara and her team are consummate professionals – highly skilled, super knowledgeable, fun and warm. They think of everything and do so with finesse and flair. Mara very quickly figured out our hopes, taste, and interests, beyond what I was articulating, and steered us toward several excellent villa options. In planning our excursions and villa experience, she offered unerringly sage advice and suggestions and listened intelligently to my responses. She also has a great sense of humor, for me a huge plus. It was clear I’d landed with the A-team. As a result, I relaxed and confidently put myself in their hands. Working with Mara was an effortless pleasure and the result was spectacular. We spent a week in Tuscany with a blended extended family of twenty-five and to a person, we had a joyful, exciting and refreshing time together exploring the countryside and savoring the many treasures of the villa, while reconnecting with loved ones and deepening our ties to each other. Mara anticipated potential pitfalls and prepared me for them while planning to prevent them. It worked. She suggested ways to add small joys to our days together. Those also worked. Our trip was for us just the right balance of art and architectural history, nature, exercise and of course, great food and wine along with lounging by the pool, playing cards and sharing stories. Whats remarkable in my view is that the planning itself was such a pleasure. That is entirely owing to Mara and her staff. I want to plan another villa stay in Italy if only to have the opportunity to work with them again. Read more reviews of Mara. Or request your own trip. This is the 2nd time I have used Earl Starkey and his team to plan our vacation in Turkey with my Turkish husband and in-laws. Earl and his team exceeded our expectations in planning and executing our itinerary. Earl is gracious, quick to respond when contacted, knowledgeable, and well connected. We switched some of the itinerary around at the last minute which Earl and his team handled seamlessly. The hotel we stayed at was a perfect match for our likes. We had the best room location in the hotel. The driver, Ali, did small extra touches for us without us asking. The guide, Burju, was excellent. She is well versed in ancient history, modern history, as well as open and willing to talk about any question we asked. She shared with us local cultural highlights. When we went to a restaurant that did not have the menu items we were looking for, Burju and Ali were able to quickly take us to another that was exactly what we were looking for. In addition, I asked Burju to simultaneously translate for me stories being told by a native Turk at one of the sights we were visiting which she did flawlessly. This enabled me to participate in the conversation as if I was a native speaker and part of the group. I felt like a local. This was a priceless experience that can only be done with a top-tier guide. Traveling in Turkey with native Turks provides an extra challenge for any travel expert as Turks are very discerning clients. As they are native speakers as well as familiar with the country and culture, a travel expert, driver, guide, or hotelier will be quickly spotted if anything less than top-notch service is provided. My Turkish family raved about all facets of our trip. We will be contacting Earl again for our next family vacation in Turkey. If you want to have a wonderful trip to Turkey, feel well cared for with all your desires met, then without a moments hesitation contact Earl Starkey to plan your trip. Read more reviews of Earl. Or request your own trip. My wife and I were quite pleased with our interactions with Ellen Sack and her team. Because we were new to barge cruising (having only done ocean and river cruising before), Ellen helped us narrow down options and select what we consider an ideal barge cruise for us. We selected the Savoir Vivre. It carries 8 passengers. What we especially liked is that we got to dine at a different place, in a new town, each night. The cruise surpassed our expectations. The ship captain Richard, the hostess Marie, and the guide Laura (“the crew”) were awesome. We felt pampered. We were impressed with Marie fixing a delicious breakfast and lunch for us, while still tidying up our cabins. We wanted to take her home with us. Laura was vivacious and engaging, and made history come alive for us on our tours. Richard was friendly, helpful, and low-key. He served as our driver to and from the train station and the restaurants at night. On our trips off the barge, we drove around in a spacious minivan. Richard and Laura arranged to have the van at the location where the barge docked each night, so that it was close by when needed. We liked the casual atmosphere of barge cruising. It was more low-key than river cruising. We did one excursion a day for only a few hours. That gave us time to relax on the barge, chat with our new friends, walk along the Burgundy canals, or bike along the canal and into the towns. We also got to help open and close the gates at the numerous locks along the canal. Before or after an excursion, we would hang out in the common area at the front of the ship. Before the cruise, I worried a little about the bikes. They are fold-up bikes, and I was concerned that they would be uncomfortable. I am 6 feet, 2 inches tall with long legs. My worries were misplaced. I didn’t have a problem. I could comfortably pedal for the several miles we traveled. We would consider doing another barge cruise in a different area. Barge cruising is a great way to chill out—and make new friends—after doing lots of (hectic) sightseeing in another part of the country. We were a little sad to depart our new little family at the end of the cruise. Contact Ellen and her staff if you’re interested in trying out a barge cruise. They will help you find something that fits your needs and travel style. Read more reviews of Ellen. Or request your own trip. I have rented from Peg many times and have never been disappointed. Our last trip was this past year during the Christmas/New Year holidays. Her staff, both in the U.S. and in Gustavia, answered all of my questions and were very helpful. I especially like that St. Barts is the only island where they rent villas. They know the owners and all of the areas of the island. They constantly update their helpful hints. I have recommended St Barth Properties to friends with no qualms. I will continue to rent a villa from them in the future. Read more reviews of Peg. Or request your own trip. Drumroll, please—we're announcing our new and improved 2016 WOW List. It represents the best trip designers and travel specialists out there. We really didn’t know what to expect when we booked a safari this year. Our must haves were game viewing, Victoria Falls, visit Cape Town, and enjoy good food and service. Dan planned our trip for us and he more than met whatever our expectations were. Leopard Hills accommodation and service were remarkable. When we left, it felt as if we were leaving family, even after 3 days. The guides were knowledgeable and made sure that we saw as much as we possibly could in our time there. It truly was one of our favorite trips and we travel quite a bit. Dan did a fine job with all our accommodations and activities; coordinating and planning with very little back and forth. The service everywhere, from housekeeping, to guides, transit buddies, to hotels was noteworthy. We took plenty of pictures of our villa on the Zambezi as it was indescribably gorgeous and our deck was right on the river. For 2 weeks, we had an experience that will be forever in our hearts and memories. We felt like we had the best of the best thanks to Dan’s efforts.